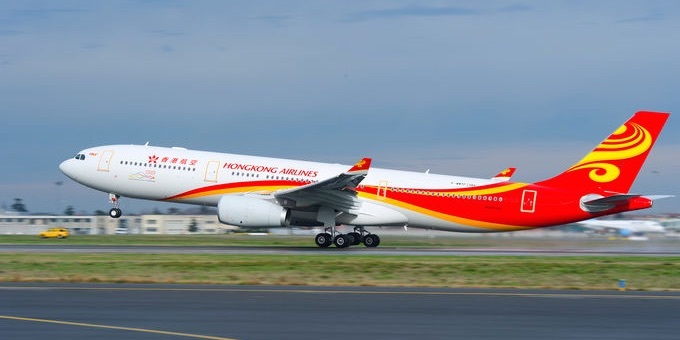 Hong Kong Airlines has signed a contract with Airbus for the firm order of nine additional A330-300 aircraft. The aircraft will be operated across a network which links Hong Kong with a wide range of destinations in Asia, and beyond. “We are extremely pleased that Hong Kong Airlines again places its confidence in our products to expand its widebody fleet,” said John Leahy, Airbus Chief Operating Officer Customers. “With the A330, the carrier will be operating the most cost-efficient and versatile widebody aircraft, both now and in the future. Hong Kong Airlines currently operates an all-Airbus fleet comprising of 11 A320s and 22 A330s including 5 A330-200 Freighters. By the end of 2018, its fleet size will reach over 50 with the delivery of its first A350-900 aircraft. The A330 Family, which includes Passenger, Freighter, VIP, and Military Transport/Tanker variants, has now attracted more than 1,600 orders. Over 1,250 A330 Family aircraft are flying with some 120 operators worldwide. The A330 is one of the world’s most efficient aircraft with best in class operating economics. With numerous on-going product enhancements entering service in the coming years, the A330 Family remains the most cost-efficient and capable widebody aircraft. Today’s A330 have an operational reliability of 99.4 percent.